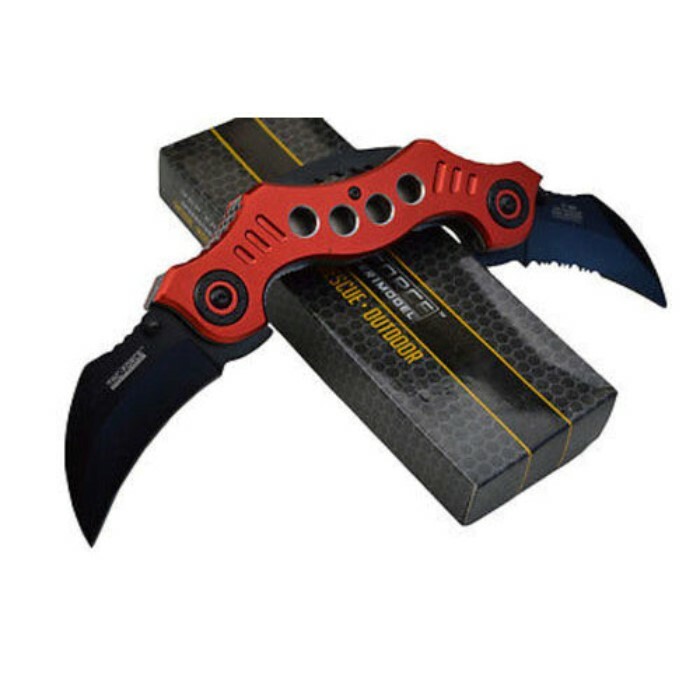 TWIN DUAL BLADE Karambit Claw SPRING ASSISTED OPEN Combat Folding POCKET KNIFE | BUDK.com - Knives & Swords At The Lowest Prices! 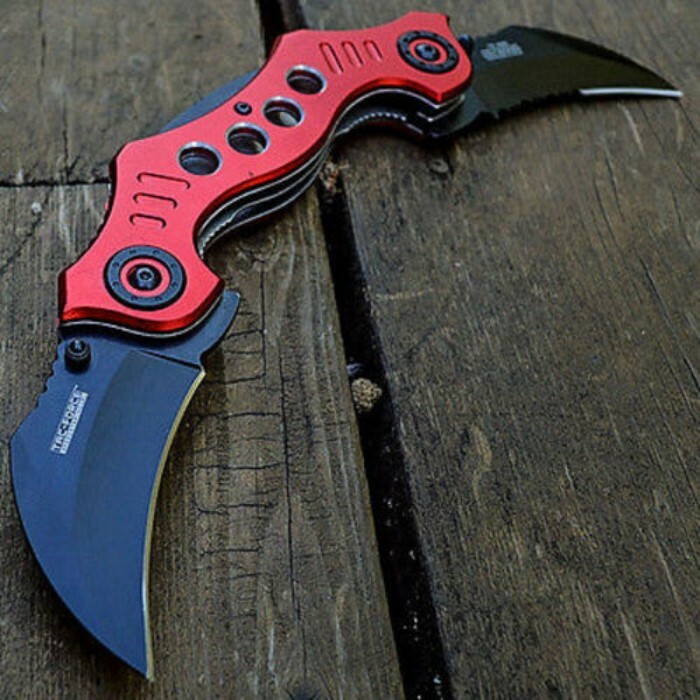 If you need a gift for someone who enjoys unusual items, this knife just might be exactly what you were looking for. 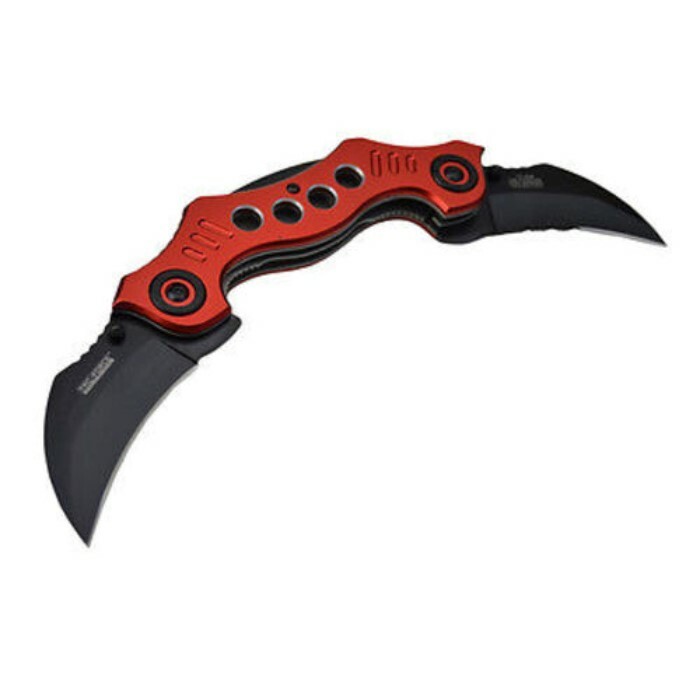 This spring assisted knife features not just one, but two stainless steel, black half serrated blades. 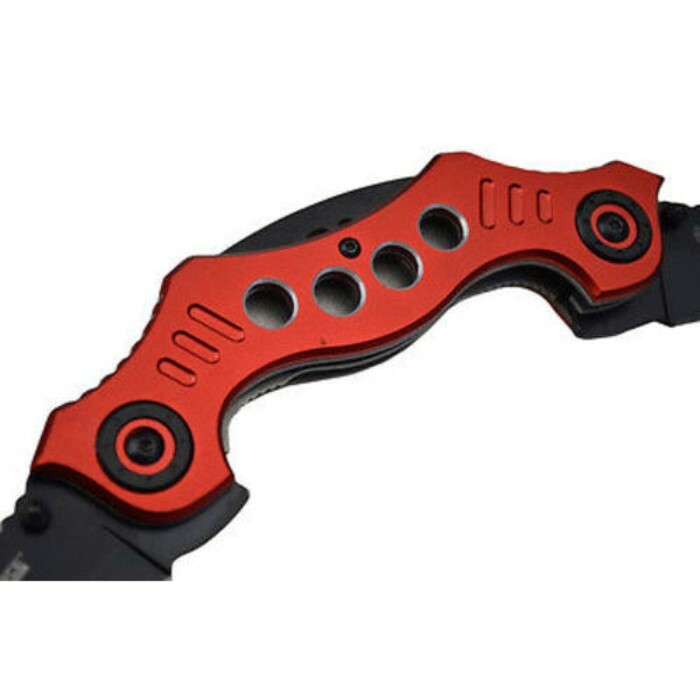 Each blade flips out to the side of the red aluminum handle. 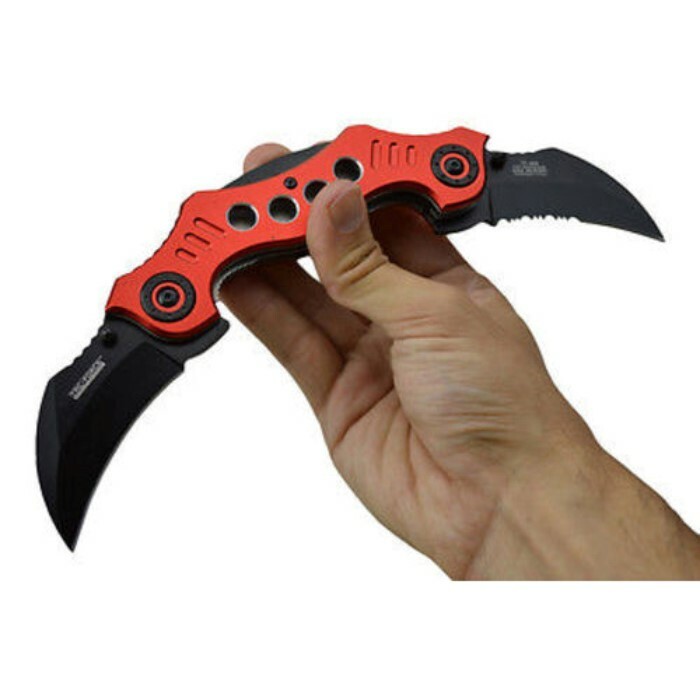 It can be held in the hand so that there is a blade on either side of your hand. An included pocket clip ensures that this wild knife is right where you left it.